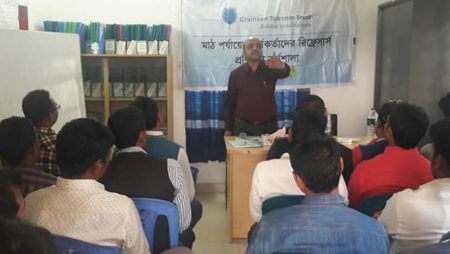 A two-day orientation was held for the proposed Area Managers under the Nobin Udyokta-NU program of Grameen Telecom Trust (GTT). 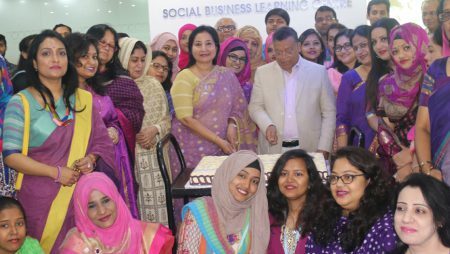 It was held at the Social Business Learning Centre (SBLC) of GTT from 14-15 January 2017. 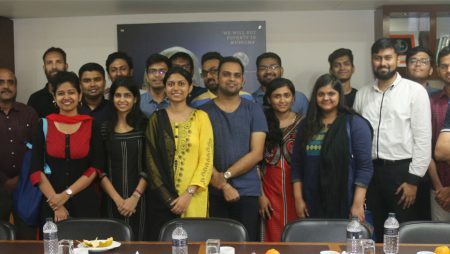 Thirteen (13) shortlisted candidates participated in the orientation along with the panel officers of GTT’s headquarters and the MIS team totaling to twenty-eight (28) participants. 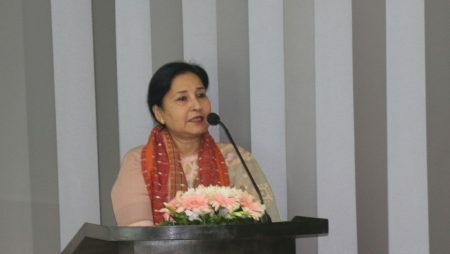 Ms. Parveen Mahmud FCA (Managing Director, Grameen Telecom Trust) announced the names of the nine (9) newly appointed Area Managers under NU program. 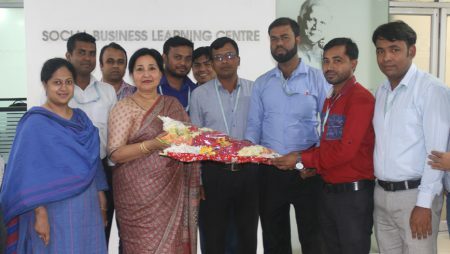 In her speech she appreciated and congratulated the managers for their contribution in achieving the target of 2016. 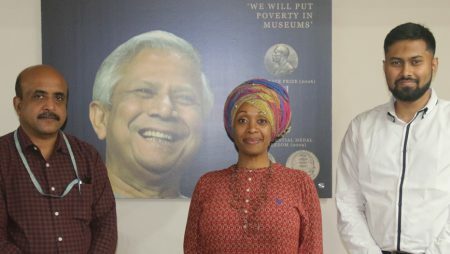 She also advised them on team building spirit, encouraged them on how to add value to the company and emphasized on the discipline, rules and regulations. The participants were oriented on the responsibilities and duties of an Area Manager, use of Information Technology (IT), HR and Admin customs, Accounts and Finance and MIS procedures. 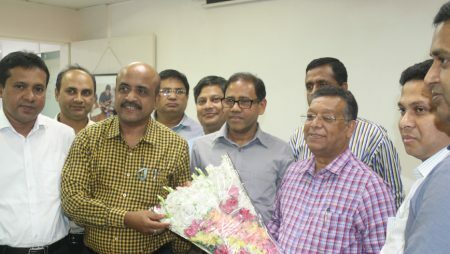 Mr. Sultan Ahmed Bhuiyan (CFO & Board Secretary, Grameen Telecom Trust), Mr. Manjur Ahmed (Head of HR and Admin, Grameen Telecom Trust), Mr. Jayanta Kumer Bosu (Team Leader, Social Business, Grameen Telecom Trust), Mr. K.M. 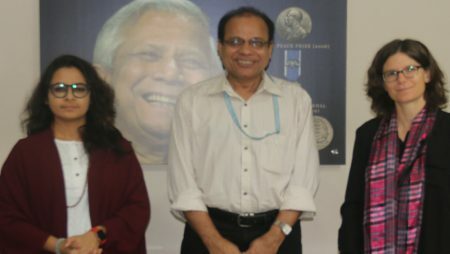 Saleheen (Coordinator, Grameen Telecom Trust) and Mr. Md. 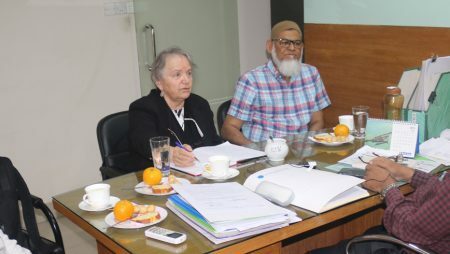 Saidul Islam (Manager-IT, Grameen Telecom Trust) facilitated the whole program. 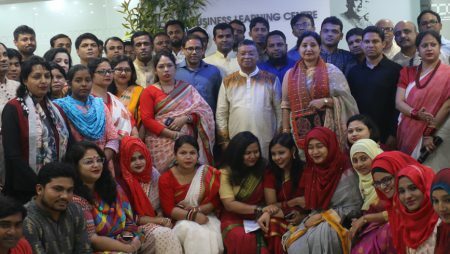 The program was coordinated by Mr. Abu Nayeem (Manager, Social Business, Grameen Telecom Trust) and assisted by Ms. Rafi Akhter (Assistant Manager, HR and Admin, Grameen Telecom Trust).